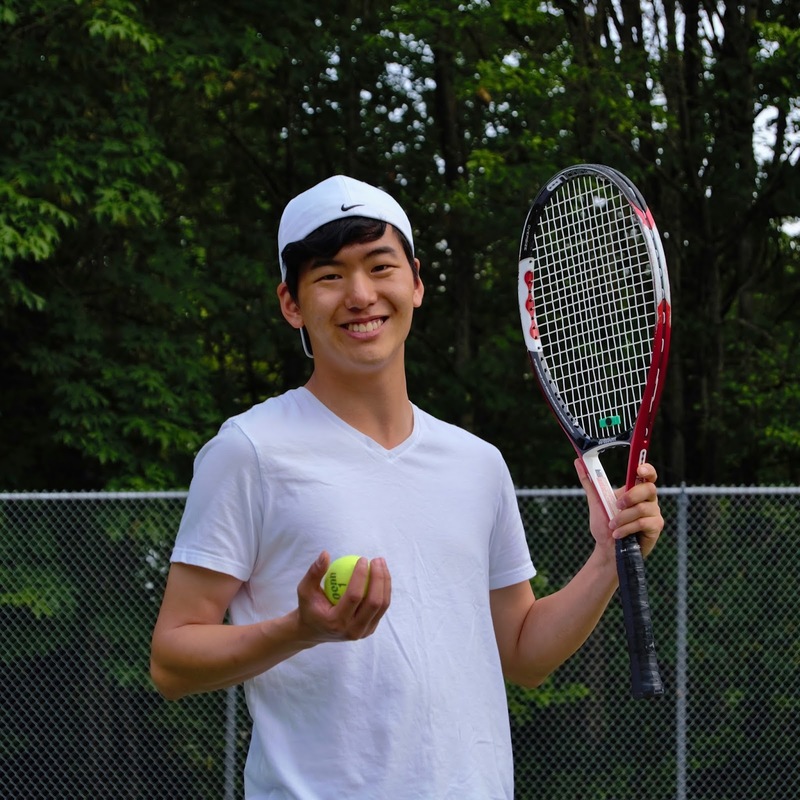 Tennis League Network Blog: Ian Kim -- Is There a Doctor on the Court? 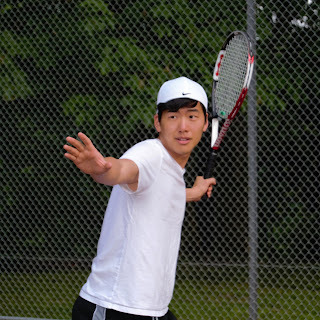 Ian Kim is being featured today as a veteran member of the Tennis League Network. He’s a Seattle native, enjoying his summer until he starts as a medical student at the University of Washington School of Medicine this Fall. Making the most of this time, Ian plans to travel to Costa Rica and Cambodia this summer before the academic cycle begins. He will also be climbing Mount Adams, Washington state’s 2nd highest peak, at the end of June. 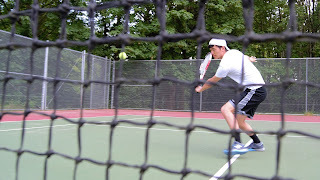 He also has some great action shots of him playing tennis which we share. Thanks for joining us Ian! We want to share your thoughts and experiences playing with Tennis Seattle, a division of the Tennis League Network franchise, and to learn a little more about you. Firstly, how long have you been playing tennis? What got you started and what has kept you going? I started playing tennis more intently in college. However, I got my start when my dad used to take me out to the clay courts at a college sports facility in Korea from a very young age. I love that tennis is challenges your body and the mind. You are constantly adjusting your form to make the best shot possible and also sharpening your mind to stay calm and confident till the end. It is a game that trains me to focus outside of the tennis court as well. I’m a member of the Seattle Tennis League, playing at the 3.50 level. I’ve been playing for 3 seasons starting Spring of 2015. As of the writing of this player profile he's compiled a very competitive 17-13 record. I learned about the league from Adam Brown -- a close friend who I have played tennis with throughout high school and college. Adam never quits and always puts on a fight every time he plays. He is known for his consistency and drive for victory when he hits the ball down the line. He is a veteran member of the league as well. Great, and how often are you playing tennis, in general and with the league? When it is not raining in Seattle, I play tennis. Unfortunately, that means I'm lucky to play once a week. I'm hopeful for the sun to return to our fair city so that I can start hitting some more. Since you've become a veteran of the league, what has kept you around as a member? I really enjoy meeting new people and improving my tennis game all at the same time. Seattle is an exciting city with diverse people. Getting to know them through Tennis has been brilliant. I greatly enjoy playing with numerous players including David, Andrey, and Porter among others in our league and appreciate the friendships we have fostered over time. Now that you’ve played a couple dozen matches in the league, would you consider any of your Tennis Seattle opponents rivals? Milo Zorzino is my archnemesis. His serves are wicked and his forehand packs a rocket. We have played against each other since high school and are continuing to play through the Seattle Tennis League. Although I am 0 out of 2 games so far in our league matches, I am confident that I will turn that around in future seasons. Milo Zorzino beware! Recently, I played with David Shelly, who I have previously struggled against on 4 consecutive matches. This match, I initially felt that I would suffer the same fate after losing the first set 1-6. However, I was determined to try harder. I found my momentum and started to play with more aggressive shots. I eventually overcame to win 1-6; 6-3; 6-2. That win was thrilling and a great challenge heading into the playoffs. Those are always the best matches to play. Do you have any favorite pro players? Why? I am a devote fan of Rafael Nadal. I connect with him as a left-handed player and admire his zeal and strength through the ups and downs of his career. Great stuff Ian, and thank you again for taking the time to do this interview. Have fun out there this Spring!